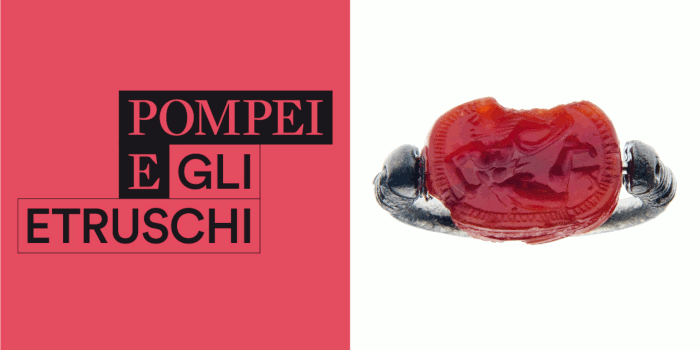 A recently opened exhibition (entrance to which is included in standard Pompeii tickets) is entitled ‘Pompeii and the Etruscans’, featuring over 800 pieces from national and international collections and located in the north portico of the Palestra Grande. The central theme is the melting-pot that is, and always has been, the Campania region, especially Pompeii, and how cultures have melded over the centuries, whilst keeping distinct cultural identities. The Etruscan civilisation is still shrouded in mystery, and recent and ongoing excavations in and around Pompeii are giving valuable insights here. How did the Etruscans interact with both the locals and Greek settlers in pre-Roman times, how are the influences visible today, which Etruscan customs survive? Some of the questions addressed by this exhibition, one which features silver and bronze pieces, pottery and ceramics, often from tombs, but also from private homes.